This is a Wanted thread, but having no money I'm offering a swop. Key for key, no cash involved. I want a Bedford CF. It's over 30 years since my first one and I think well past time I repeated the experience. Steel front rather than the later plastic grille; VX slant-four petrol engine rather than the Opel type, and absolutely NO DIESELS; preferably a plain van body rather than a camper or truck. Oh and it needs to be legal and running fairly reliably. Not like I'm asking for much! I'm offering the Giffer Rover. It does have its own thread: http://autoshite.com...-accomplished/ I bought it blind off ebay last summer and it's a lovely car. MoT is due in March but this is how confident I am: I'll put a new one on it if a suitable CF appears before then. If the CF comes later, well the Rover will have a new ticket anyway. It's a 2.0 auto with 42,000 miles up, and drives just as you would expect. If the van comes from further than about 150 miles from me I would very much appreciate being able to meet at some suitable common point to do the handover. Motorway service areas or supermarkets with integrated cafes would be ideal. Sore this and fort of ewe. I have this one. It took me a while to find a good one. Commercials in good nick very rare. The only thing is it drinks from the black stuff and Eddy said NOoooo! It would be easier to buy a decent diesel and petrolise/ lpg it than spend a year looking for a perfect petrol - that's why it took me so long to find my mk2 transit. If you live within the LEZ if the vehicle is logged as in trade they don't chase it, allegedly. Or you could just wack some foreign plates on. Yes, I looked at that one last night. Wrong front, wrong fuel, but at least it proves the odd one survives. 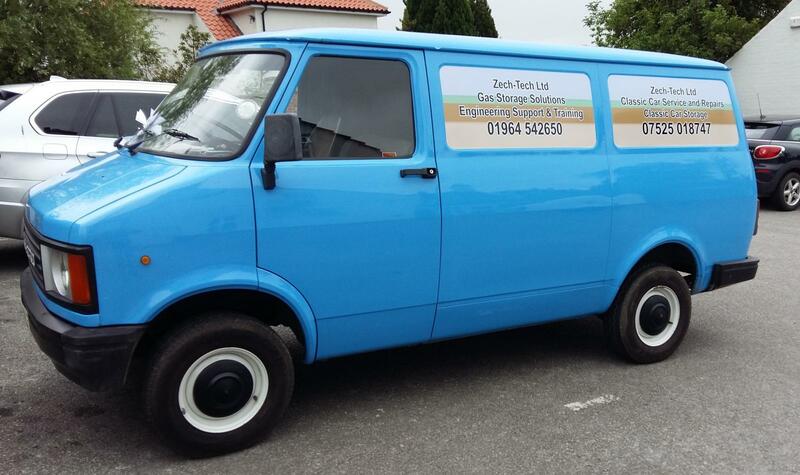 I'm a bit worried by a project van of the wrong type being over £800 already and RNM. 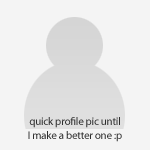 That isn't promising at all! Aye, old commercials these days are worth £££££. '90s Rovers, sadly, are not. No. That isn't something I could consider doing myself and I'm certainly not able to pay for that much work, even assuming I could find a correct engine easily, which is a big assume. How long would the van be out of action? If I was doing the work, the answer is Forever. Not going to happen. I won't be taking it to That There London either, so their stupid LEZ can disappear up its own arse. The father of a friend of mine had a 1984/85 petrol-powered CF for many years - can't remember if it was this shade of blue or white but, after it had done about 18000 miles, he parked it on his drive for years with a garage door perched on its roof and there it stayed until he sold it a couple of years ago. The body was in pretty good shape, probably because it never went anywhere and probably because of that garage door sheltering it like some sort of oversized hat. He just seemed to accumulate cars and the last time I passed his house, he had taken to parking at least one of them sideways in an attempt to create more room! Sadly true. I'm not expecting anything like as nice condition as my Rover, that's for sure! This rather pleases me because I have long fancied owning a '90s Rover and someday I'll actually get round to it, for cheaps too. I don't have any vans to swap though. 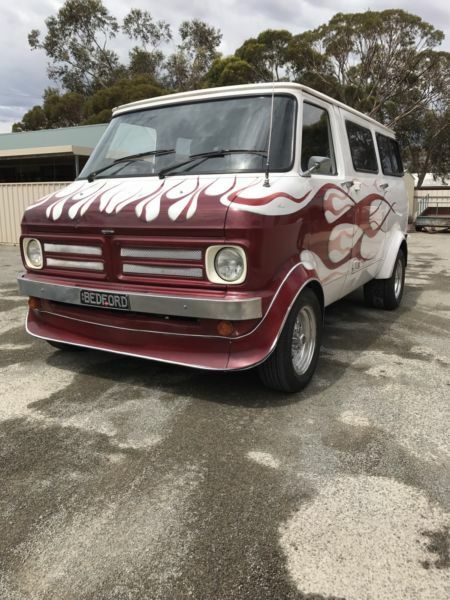 The odd Bedford appears on leboncion and Mobil.de if you don't mind driving from the wrong side that is, collection also adds to the fun. But how many of those owners will want to swop for a RHD Rover? Call me cynical, eddy, but I think you have a far better chance of being noshed off by the queen on live TV whilst riding a unicorn down the main street of Brigadoon on your way to discover the current whereabouts of the Amber Room than managing to swap a '90s badermatic giffer Rover for ANY working Bedford CF, never mind a quite specific one. Well since I have permission.... you're cynical, John. Tbf you are probably right, but it's always worth a try. If I don't find one, I've still got a bloody lovely Rover. This one has been parked there for flipping ages, never seen it about on the road, seems to be just used in the yard? 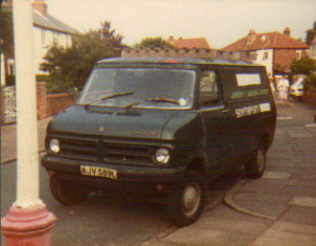 This one's a 1980 van, which was about the end of the steel front. I'm not honestly expecting one as pretty as this though, well-worn is much more likely and tbh more my style. This is one of those conundrums that would be interesting to depict on a chart. X axis, time since 1992, Y axis, market value. 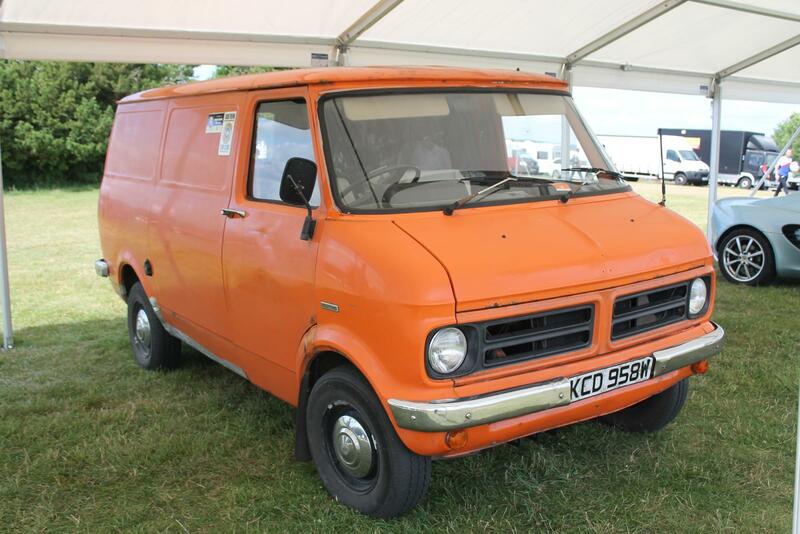 In which year does the curve of a facelift 800 cross that of an early CF van? I assume you've seen the Autosleeper on the bay? What about one of them Chevy G series (?) vans Eddy? I've had a couple with monster engines and bodies on them, but they do them in smoll sizes too, auto, petrol, yankee, look a bit like a CF if you squint? That's not too far from me if you wanted it collecting and storing* safely*! If you wanted a van just gut the interior and have sheet steel welded into the window holes (or just paint the glass!). It'd be worth more* as a camper though. Maybe. One day. I didn't spot that John, thank you. However... I didn't spot it because I deliberately wasn't looking in Campers & Motorhomes. Looks lovely, but sadly it's too far away and needs too much doing to get it roadworthy. I'm very pleased people are coming up with proper suggestions though. Much appreciated! Dan, thank you, but as above: not going to be practical. Jim: again, thank you, good suggestion and one I should take up sometime, but any G-series I can get for the Rover is going to be a butchered old nail. At least with the CF butchery shouldn't be hard to find and sort. It's not exactly sophisticated! There are a fair few of these here in the land of Oz. Majority with Holden 6 cylinder lumps. There are 4 on the bay of e here, all cab-chassis campervans. There is a very nice van bodied camper near me, I’ll try and get a picture. I had one like this in NZ. it was pretty hopeless, thirsty and couldn't pull the skin off a rice pudding. If a Holden 6 fits, will a Holden 8 squeeze in?